What a beautiful book this is. Before you even start to read it, the colourful pictures stand out from a long way away; my children are a bit older now but i can imagine that this would be a book that would really catch their eye. The book tells the story of the gospel - from the creation of the world to the death and resurrection of Jesus; at this stage in the story the pictures lose their colour and are much greyer to reflect what’s happening. The book finishes with a prompt to the reader to respond to what they’ve read. This is a great book to use to introduce young children to the message of the gospel, as presented in the Bible. 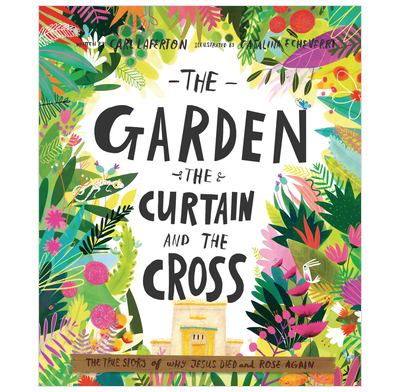 The colours and pictures make it a book that children would want to read and it’s true to the gospel so you can be confident that you’re explaining the story accurately.